Earth-Mars trade will likely be the primary form of commerce for the first Martian settlements. This trade is limited by the great distance between Earth and Mars, and the enormous cost of lifting goods out of the gravity well of the two planets. The majority of the commerce will necessarily be information-based. Initial business models could resemble those similar to the ones used by many small nations, such as the Vatican, Monaco, San Marino, and some Pacific islands. Like the first Martian settlements, these nations cannot rely on large pools of labor, infrastructure, or abundant natural resources. Offsite backup is a vital aspect of data security for any business. It ensures data backup in the event of natural disasters. No location could be more offsite than Mars! People could buy the .mars domain. Established colonies can advise governments and corporations in their own exploration/colonization efforts. This section of the article is incomplete or needs more detail. You can help Marspedia by expanding or correcting it. As on Earth, a sovereign martian state can sell ship registration. Initially, this would apply only to marine vessels, but it may be expanded to space vessels in the future. A vessel's registration determines which laws are in effect for its occupants when it is in international waters. Skilled settlers could be paid to do scientific research. An irradiated near-vacuum environment is a near-perfect biological barrier . Any facility would necessarily be isolated from the colony, of course. It would be the perfect location for biotechnology research without the risk to terrestrial life. 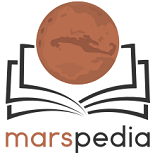 Martian scientists and professors can record lectures and presentations that can be sold to schools, colleges, and universities. People on Mars will be earning money on Earth. All of a settlement's initial population needs to come from Earth, and they will own properties on Earth that generate revenue that they will spend on Mars. A business owner can own a chain of shoe stores and live and spend his profits on Mars. A real estate owner can collect rent from Earth, and spend it on Mars. A shareholder, or anyone with any form of pension, can get revenue from Earth and spend it on Mars. And some of the things that they buy will come from Earth. An experienced manufacturer might buy equipment on Earth for local production on Mars. As soon as in-situ resources are available, transforming these resources into products become a viable proposition. So machines will be bought on Earth and moved to Mars. Electronics can be bought on Earth and moved to Mars to incorporate into local products. Rare Earth metals, catalysts, vitamins and minerals, dyes and inks can all be made on Earth and transported to Mars to complete local products. Certain people with a lot of money have historically been interested in Space Tourism, even when there are significant risks. So, Mars tourism is an even more exotic challenge. While Mars itself cannot be trademarked, likenesses of the settlement/settlers could be. Possibilities include stamps, coins, playsets, etc. First colonists would likely gain celebrity status. These goods would be manufactured on Earth, due to the cost savings. Companies may pay to place a logo on a wall, use "the official << insert commercial product here >> of Mars" in advertising. Ensure your genetic legacy by sending your sperm/eggs/embryos to Mars. Having descendants on two worlds is more secure. While historically not the most respectable business, an actual presence on Mars lends much more credibility to the transaction. People might pay to have their ashes buried on Mars. This page was last edited on 24 April 2019, at 21:49.